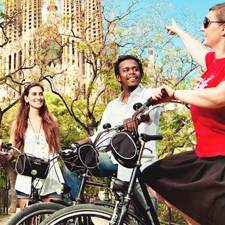 A bike tour of Barcelona! 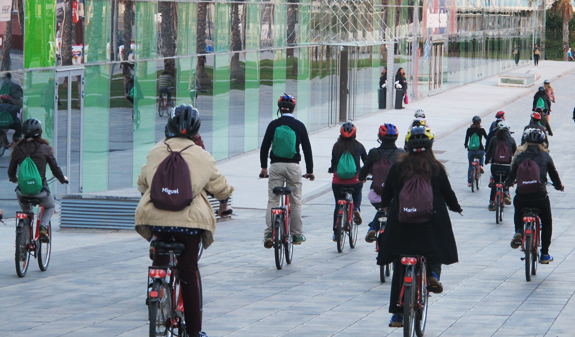 If you want to see Barcelona but haven't got much time, hop onto one of our comfy bikes and let one of our expert guides take you to see the best of the city in the most fun and healthy way. A guided tour on two wheels, in English. 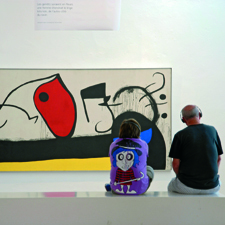 We invite you to tour Barcelona in a fun and healthy way, and discover the city's main landmarks, and the ones only the locals know about, with an expert guide who will tell you the history of the sights, and give you interesting tips and information about everything you need to know to make the most of every minute of your stay. 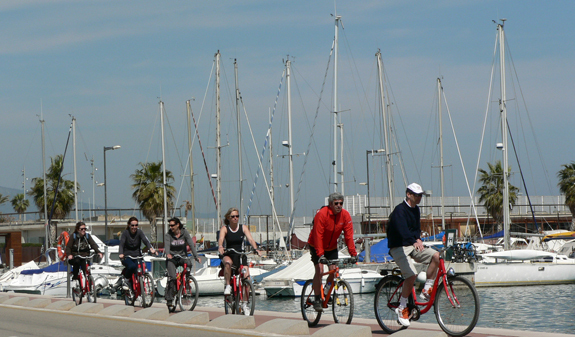 The Bike Tour will take you through the old town, from Plaça Sant Jaume, through Plaça del Rei and Plaça Sant Felip Neri, past the cathedral and through Plaça Reial as far as the Columbus Monument and the old harbour, Port Vell. You'll visit the Barceloneta beach, the Olympic Marina and the Sagrada Família, where you'll be able to take a breather and look at this wonderful Gaudí building, and then make your way to Passeig de Gràcia and admire the spectacular Casa Batlló and La Pedrera. A tour with a lot of charm, that explores the heart of the city, with a tour guide who will tell you about all the sights. You'll stop off at each landmark and place of interest so you can take photos as a memento of your trip. Tapas tasting if you choose the option Bike Tour & Tapas. 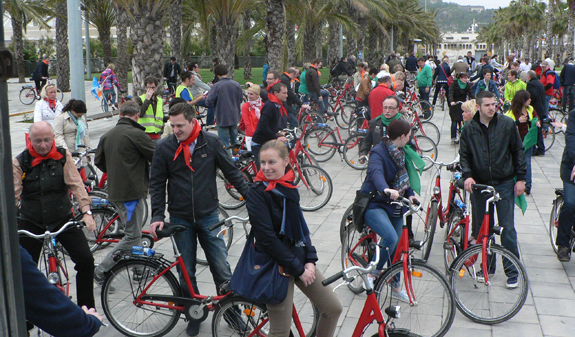 Times Bike Tour: daily at 11am and from 1st April to 15th September also Friday, Saturday, Sunday and Monday at 4.30pm. 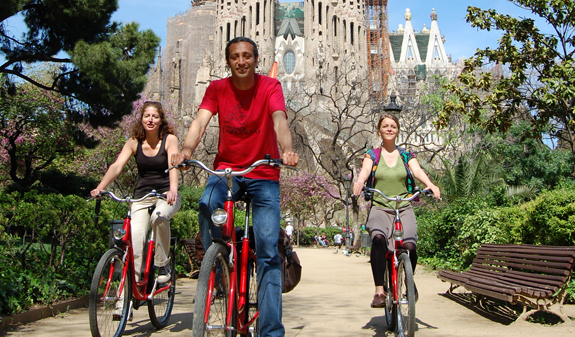 Times Bike Tour + Tapas: Monday to Friday at 11am. Closed: 1st Janyaru, 25th and 26th December. Lenght Bike Tour: 3 hours. Lenght Bike Tour + Tapas: 4 hours. 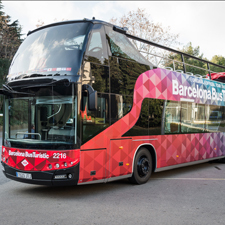 Meeting point: plaça Sant Jaume, in front of the Tourist Information Office of Turisme de Barcelona. Metro: L3, Liceu stop and L4, Jaume I stop. Bus: 14, 17, 45, 59, 91 and V17. The maximum number of people per tour group is 20.